So, spring is really here and the layers we added to the raised beds have been rotting down. The two beds that the chickens scratched around in for a few months are really low in bulk so they’ll need to be finished off with some pretty good filler. We’re trying two different approaches in each pair of beds. In the first pair, we have topped it off with bio-gro certified organic compost from Oldfields in Masterton. There was a bit of stuffing around with weigh-bridges and the cost was a little high, $40 for a medium trailer. This bed has actually been underway for a little while, and has been planted out with brassicas: cavalo nero, tender stems broccoli, golden ball turnip and our favourite purple sprouting broccoli. The bed is mulched with pea straw to keep it moist and give some frost protection. In the other pair of beds, the ones the chickens were living in, we’ve filled them up with well-rotted mushroom compost from the parkvale mushroom factory just down the road. These guys make a business out of top-notch compost and it’s supposed to be good stuff. It’s cheaper too, $30 for a large trailer and no weighbridges or queueing, we were in and out in 2 minutes. If you don’t live in the Wairarapa, you can buy it in bags from the garden centres. Nothing is planted in these beds yet, but our friends have had great success with this stuff, it seemed very rich so I have a feeling this will be the better environment for our vegetables. I recently read somewhere that good gardeners don’t grow plants, they grow soil. We forget that soil is a living thing, a colony of mycorrhizal fungi, worms, plant roots and microscopic life that process and produce nutrients, fight off disease and break down fallen leaves and dead roots. Organic gardeners have a big advantage, their soil is working for them, they don’t need to spend money and energy on injecting nutrients into a system that nature has perfected over millennia. 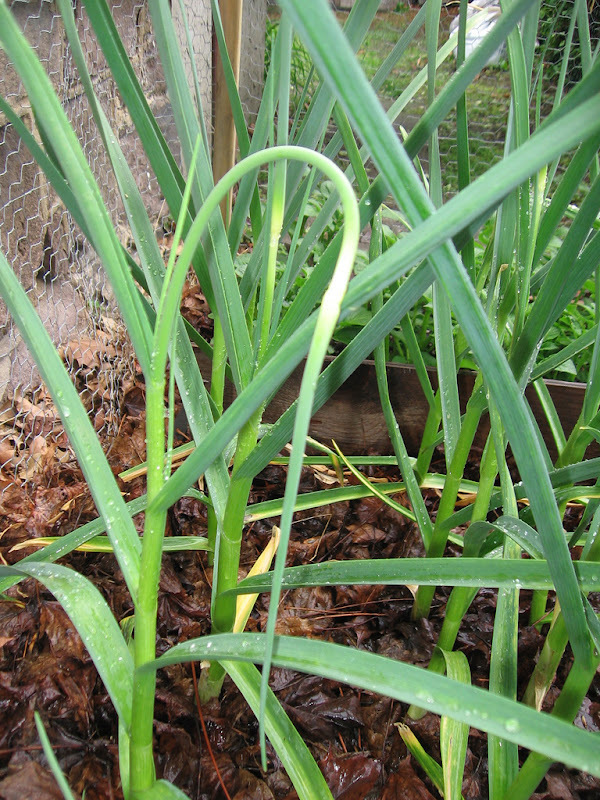 There are a number of ways to improve soil, or create your own (see our raised beds series) but all of them have one thing in common, increasing organic matter to feed the soil. We are lucky really, Clare has an apparently innate understanding of how to mix compost, allowing us to avoid a stinky sludge that is nowhere near the brown crumbly stuff that makes your vegetables grow big and juicy. Many people have published a recipe for compost that helps you get the mix right, the goal being a ratio of 20 parts carbon to one part nitrogen. Typically grass clippings are about this ratio, but if you try to use only grass clippings, you’ll end up with nasty sludge. The easiest way is to use one bucket of green (manure, kitchen waste, grass clippings) to one bucket of brown (straw, dried leaves, small sticks). We find that creating compost by adding regular layers of kitchen waste, grass clippings and straw and manure from cleaning the chicken house produces a really good mix, and fits well with our lifestyle. Not every one has this advantage of course, so a recipe may help. We use two of those bins that look like stunted daleks, we could really do with a third, but in the meantime a pile next to the bins takes heavier material like whole plants and woody stems as well as the excess grass clippings. Make sure you turn your compost regularly too, to avoid a slimy mess. Mulching is wonderful. When we discovered mulching, gardening became something I found myself itching to do. The amount of work that is avoided by piling a layer of pea straw over our soil would easily be equal to all of the other work in the garden combined. Mulch, apart from adding a slowly decomposing organic layer, prevents water loss through evaporation, keeps weeds down and provides some frost protection to newly sprouting plants. Pea straw is ideal, and Wairarapa gardeners can get it for around $4 a bail if you know where to look. (email me for the number). Autumn leaves run over with the lawn mower also make a decent mulch, and certainly I know people in Carterton who asked the council this autumn to deliver them to their houses - for free! A shortcut to good soil is the sheet mulching technique. I haven’t tried it, although it’s a little like what we’ve done in the raised beds. 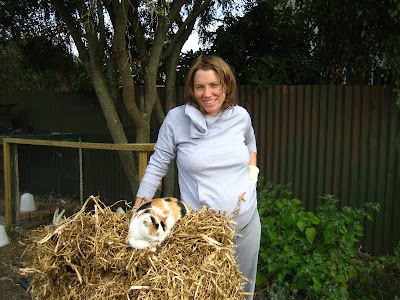 The technique comes from Mollison’s Permaculture works and is known to be particularly successful. I wish we’d known about it before we took a rotary hoe to our lawn a few years ago. A lot of people like this method because it’s incredibly easy and can get rid of couch grass and other unwanted weeds. An online guide is available. Apart from downside of a death like stench, a really fast way to add nutrients to your soil is to create liquid fertiliser. Soak comfrey, grass clippings, animal manure, seaweed or a mixture of all in a 20l bucket of water. Leave it for a couple of weeks and then pour on your soil, it can be quite strong so water it down to prevent burning your plants with too much nitrogen. Potatoes are known as a great first crop, as they break up compacted soil as their fat tubers grow. Legumes like beans and peas are nitrogen fixing, leaving their roots in the ground feeds the soil. Fallen leaves work as a mulch, if they are in the wrong spot, move them to where you need them. One of the things I don’t like about industrial agriculture, is the ignorance if the micronutrients. Yes, plants will grow if you give them the macronutrients, but if you want high levels of the good stuff like caretenoids, flavonoids and trace elements in your vegetables, you need non-synthetic (organic) fertiliser like I’ve mentioned above. Soil pH can get out of balance with too much organic waste, so a sprinkling of lime can keep it in balance. We probably don’t pay enough attention to this ourselves, but if you are doing all these things I mention here, and you still have problems with unhappy plants, add some lime. You can get a soil testing kit which will let you be more scientific if you want to. I’ve read great things about Rock Dust as well. This is meant to emulate the rock flour that is produced by glacial flows over rock. The fine dust provides minerals that are otherwise not renewed in soil. I haven’t tried this either, but intend to give it a go this year, I’ll let you know how it goes. The act of good gardening also helps to create great soil, here are a few tips on keeping the soil alive.